Cheese Ball Week continues here on C+C. For today’s ball, I wanted to create one that could pull double duty as an appetizer or in a dessert line up. 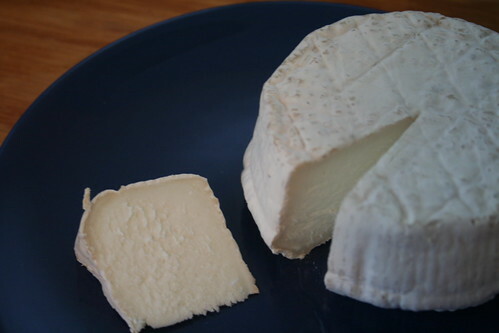 I started with the fresh, floral Purple Haze chevre from Cypress Grove, laced with lavender and fennel pollen. Instead of the usual cream cheese, I used ricotta as the mixer, and then added a hint of cocoa powder. My “ball” was a late addition to my Friday night dinner menu and didn’t chill as long as it should have, resulting in more of a blob-like appearance. But it still tasted delicious! And went nicely with the champagne we opened for dinner. Should you find yourself with leftovers, it makes a delicious spread for toast, too. Instructions: In a mini food processor or mixing bowl, combine the Purple Haze and ricotta cheeses until smooth. Add 1 teaspoon cocoa powder and mix until combined. Sprinkle 1 tablespoon cocoa powder on small plate. Form the cheese mixture into a bowl and gently roll to coat in the cocoa powder. 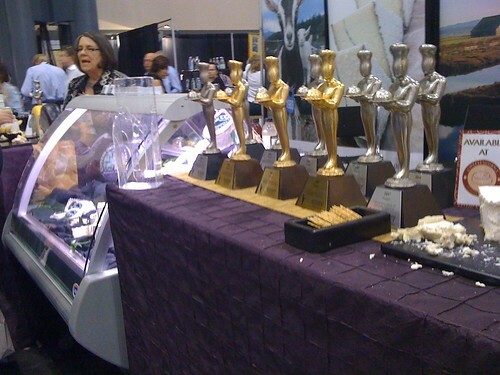 Wrap in plastic wrap and refrigerate at least 4 hours before serving. Enjoy! Though it’s still Chanukah and I have some of my potato chip-crusted cheese ball in the refrigerator, today our thoughts turn to Christmas. That’s a slightly weird thing to type, as I’m Jewish, but when I put together today’s featured cheese ball, I couldn’t help but notice the red-and-green color palette. But regardless of what you celebrate this month, you’ll want to make room for this appetizer. Colleen and I have made no secret of our love for goat cheese on C+C, and I thought a fresh chevre would lighten up the typical (and heavy) cream-cheese mixture and add an unexpected tang to the cheese ball. To equal portions of goat cheese and cream cheese I added a handful of chopped fresh basil and then topped the ball with yellow tomato-onion jam I made this summer. The freshness of the basil matched perfectly with the almost lemony light flavor of the goat cheese, and the tomato jam rounds out each bite with a rich, brown sugar-infused sweetness. If you don’t have any homemade jam handy – and let’s face it, most people don’t – find the best tomato chutney available as a substitute. And next summer, make the jam. Unlike yesterday’s cheese ball, which required several hours of refrigeration to help it keep its shape, this recipe can be prepared just minutes before serving. 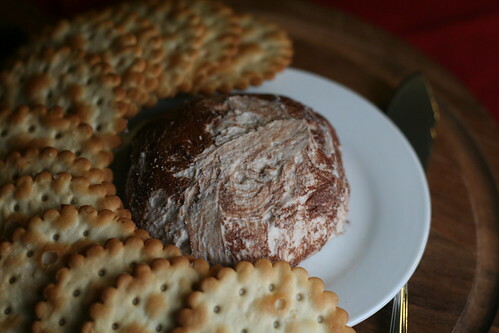 The extra-soft texture makes it easy to spread on hearty whole wheat crackers (Carr’s brand is our favorite). Place goat cheese and cream cheese in a medium bowl and mix thoroughly with a spatula. Toss in chopped basil and mix until evenly distributed throughout the cheese. Mold the mixture into a ball with your hands and place onto a serving platter. 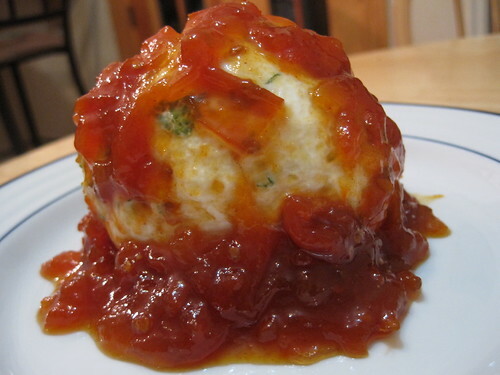 Spoon the tomato jam on the top and sides of the ball. Dig in!